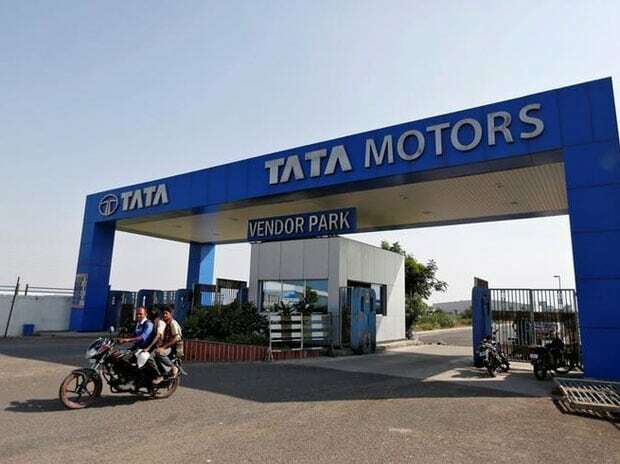 Automobile major Tata Motors on Monday reported a 21 per cent decline in its total sales, including exports, of passenger and commercial vehicles during April 2017. According to the company, the total sales, including exports, of passenger and commercial vehicles of the company stood at 30,972 units -- down 21 per cent -- from 39,389 vehicles sold during April 2016. Besides, the company's commercial vehicles sales in April 2017 fell by 36 per cent to 16,017 units. However, the passenger vehicles segment reported a surge of 23 per cent to 12,827 units during April 2017. The company said the commercial vehicles sales were affected by the Supreme Court judgment of March 29 that banned sales and registration of all BS III (Bharat Stage) vehicles' sales -- requiring a higher quantity of BS IV compliant stock for April sales. "The higher demand at short notice was not met in production, as vendors struggled to meet with the higher demand, especially in the MHCV (medium and heavy commercial vehicles) segments," the company said in a statement. "Moreover, after the strong pre-buying of BS III vehicles in March, and the price increase of BS IV vehicles (especially in the MHCV and buses at 8-10 per cent), demand for BS IV vehicles was also weak." The company's domestic sales of commercial and passenger vehicles for April 2017 was lower by 19 per cent at 28,844 units as compared to over 35,604 units sold during the like period of 2016. "While the industry faced short-term headwinds further to the BS III verdict, Tata Motors continued its robust sales performance with a growth of 23 per cent in April led by a strong pipeline for Tiago and a positive response for our new lifestyle UV - Tata HEXA," said Mayank Pareek, President, Passenger Vehicles Business Unit, Tata Motors.